Cedar lite is also known as The Ultimate Shake Replacement. Cedar lite signifies a quantum leap in solid roof tile. mock-up after the top quality hand-split cedar shakes, Cedar lite was created with a distinctive manufacturing process that offers such a practical appearance, most of them would be hard-pressed to enlighten the distinction between this and real wood shake. Cedar lite features the variants and element that you will get in real cedar shake, whilst adding up the advantages inbuilt in concrete roof tile. 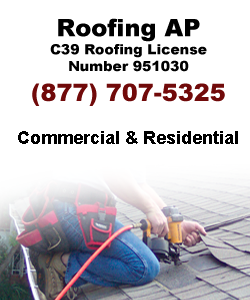 AP Roofing strives to accurately install the Cedar Lite in Los Angeles. We suggest you evaluate a product sample or the real products installed before making the decision of selecting your final color.